Exlusive studio clip of one of the new songs from Battle Stations, 'Friends, Lovers, or Nothing'. (I put in the Oxford comma myself, as John Mayer should when the album release date comes around). Great to see Steve Jordan and Pino Palladino back. New single from David Gray's upcoming album Draw the Line. Radiohead have made new song 'These Are My Twisted Words' a free and now legal download on their Waste store. I hope we'll hear details of a new album soon! The song is as a .zip file, so you'll need WinRar or WinZip to extract it. Last week I gave you a link to listen to some of the new songs live from the Swell Season's second album Strict Joy. Now you can listen to a studio cut from the album, and download an mp3 of the song 'In These Arms'. Peter over at 2uibestow gave me the news of this, I suggest you pay his blog a visit! 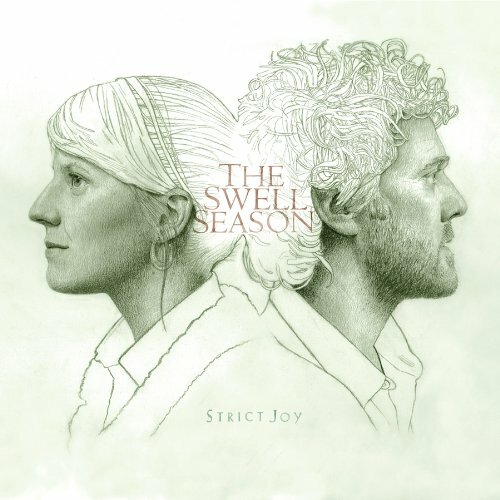 We finally have an album cover for the new Swell Season album, Strict Joy, so now I can stop using strange pictures of Glen Hansard! I really like the cover I must say. Much better than the self-titled album cover. At The Drive-In spin-off (who've probably outdone their forefathers at this stage) The Mars Volta will be coming to Dublin's Olympia Theatre on December 10th. They released Octohedron back in June, and it's a worthy album, not their best, but pretty good nonetheless. Tickets are priced €35 and go on sale this Wednesday. Remember Train? Yeah, the 'Drops of Jupiter' guys. Well, they had a whole lot more than that, and lead singer Pat Monahan even released a pretty decent solo album. They're back with a new album Save Me San Francisco on October 27th. To anyone out there that wants to dismiss them as a one hit wonder, I sincerely recommend their 2003 album My Private Nation. It's damn good.